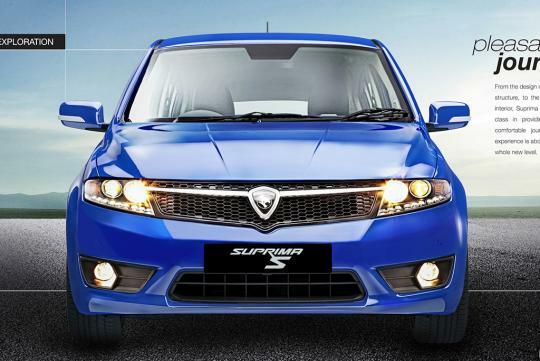 The Proton Suprima S is a C-Segment hatchback that inherits most of its design from the Preve. The front bumper is different compared to the Preve and the rear ends in a tapering bootlid. 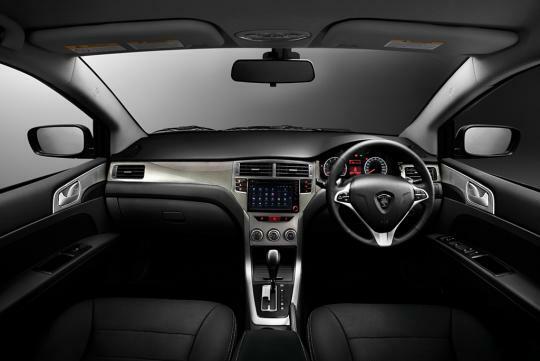 It is said that Proton has upped its game in terms of build quality but having a similar interior as that of the Preve probably means things should not be much of a difference. However, in terms of equipment, Proton pulled out all stops to make sure no other manufacturers can rival the amount of goodies that come standard at this price bracket. All variants include an Android-based Proton Infotainment System consisting of a 7-inch LCD screen DVD player with GPS navigation and Bluetooth/USB/iPod connectivity. The head unit has Wi-Fi connectivity or it could be linked up with a mobile phone and function as a portable hotspot. Other interesting features include rear LED guide lights, Hill-Hold assist, and Park Assist with front parking sensors. Power comes from Proton's 1.6-litre Campro turbo engine which produces 140hp at 5000rpm, with a maximum torque of 205Nm from 2000 to 4000rpm. The Suprima S has a 190km/h top speed and a 0-100km/h time of 9.9 seconds, Compared to the turbocharged Preve, the Suprima S is slower by 0.3 seconds for its century sprint and 10km/h down for top speed. Fuel consumption is rated at 9.1 L/100km and this engine is mated to the same seven-speed CVT gearbox as fitted on the turbocharged Preve. 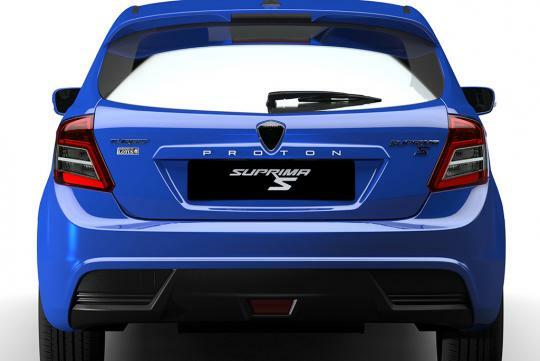 There will not be a natural aspirated version of this engine which was seen in the basic Preve as Proton is keen to market the Suprima S as one of the more sportier variants in its lineup. Handling wise, the suspension consists of front MacPherson struts and a rear multi link with stabiliser bar. The power steering continues to be a hydraulic type. 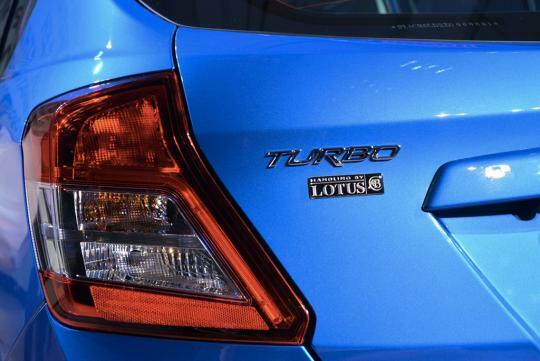 Interestingly, Proton now sticks a �Handling by Lotus� badge, which also appears on the Satria GTi years ago. 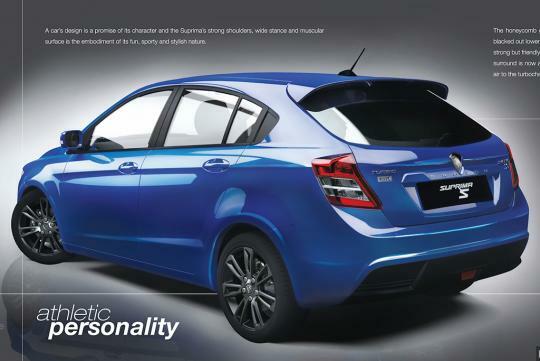 The base Suprima S is available in Malaysia from S$30,000. Nothing has been said on whether we will be receiving it locally yet. look-wise, not too bad either, maybe the front needs a wicked sport grille instead of the conservative look. Quailty-wise, if proton's quality matches it's looks and specs, I'm sure it'll be a winner. But..
Another rubbish car from our neighbor!